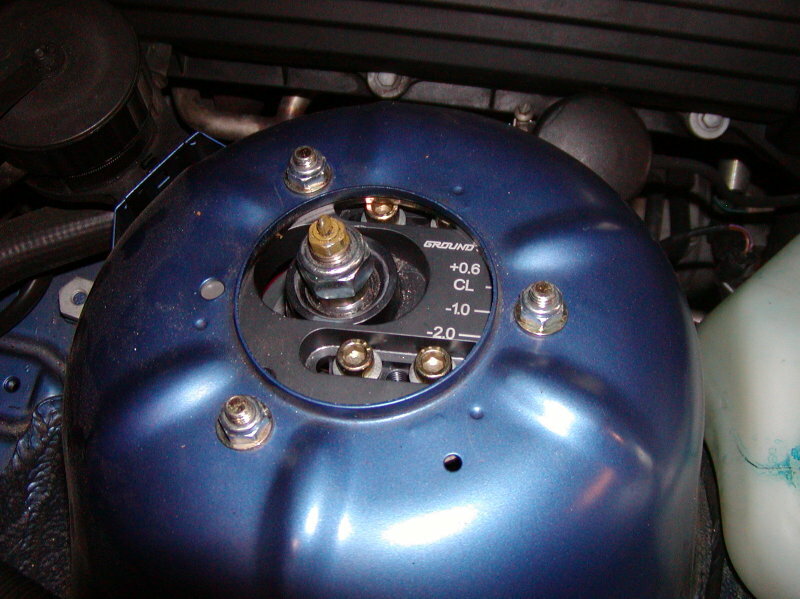 This is a preliminary set of instructions for installing a Ground Control (GC) coilover kit, camber plates, and rear shock mounts (RSM) on a 1998 BMW E36 M3. I'm strictly a hack mechanic, so take these instructions with a grain of salt. This is not a full set of instructions yet... It is just a set of pictures to show you what things are supposed to look like. Sorry... haven't had time to polish this up yet. Still its a lot more information than you get with the parts from GC. 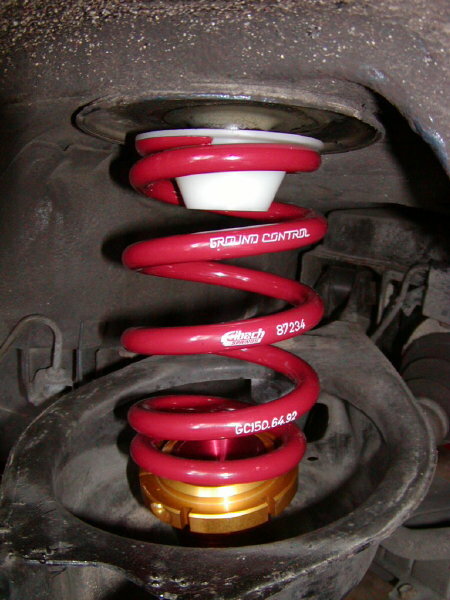 Stock front strut. The black plate to the left is a reinforcement plate that is I did not originally reuse on the GC kit. I was told it would restrict adjustment of the camber plate. This may be true, but 4 years and 1500-2000 track miles later, I started getting cracks in the strut towers right at the edge of the camber plates. 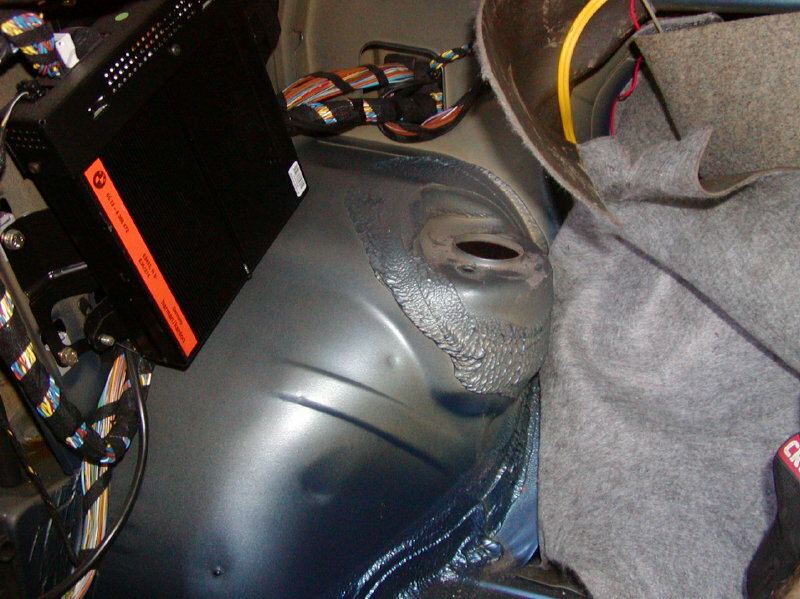 I had the cracks welded, and re-installed the plates. Your mileage may vary. 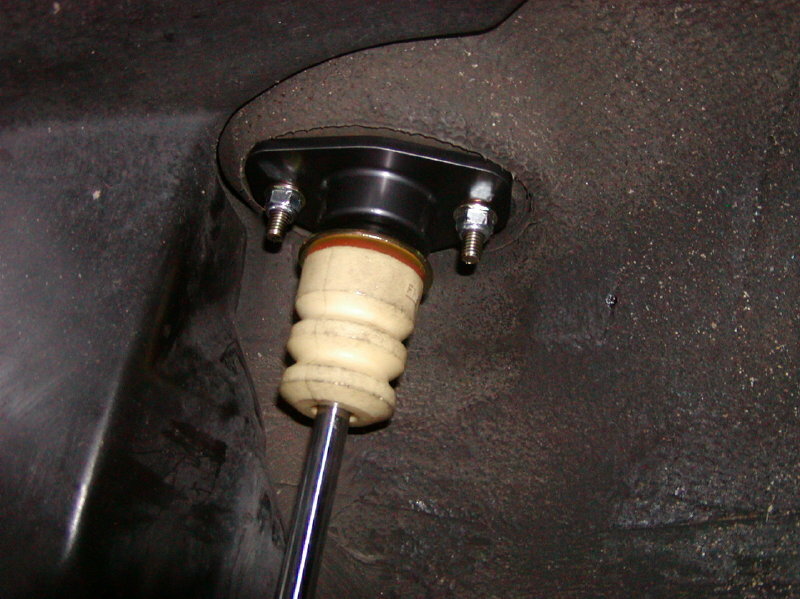 Stock rear shock mount. Note that the shock mount bolts in from the top. 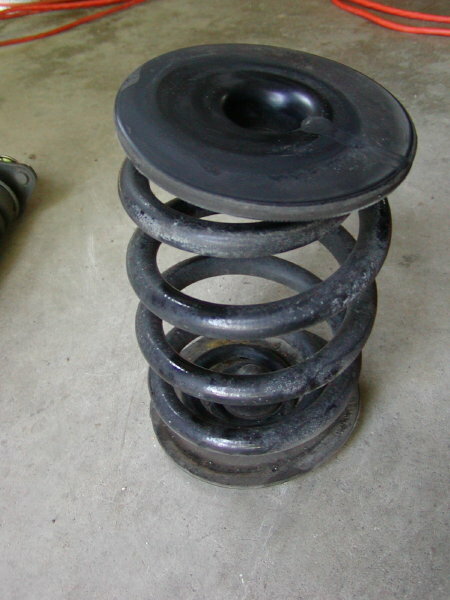 Stock rear spring and spring hat/pad. You do NOT reuse the black pad on the top of the spring. Ground Control pieces. 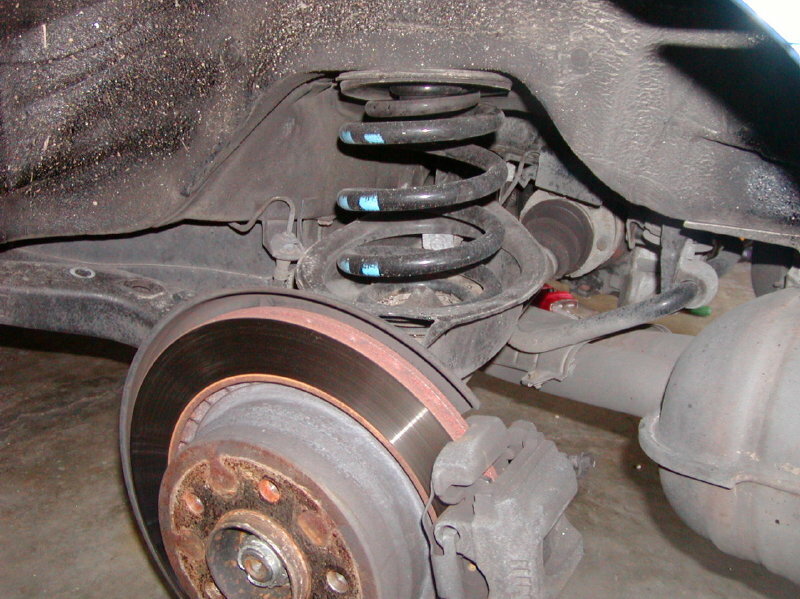 The front struts came assembled with the springs and camber plates already installed. 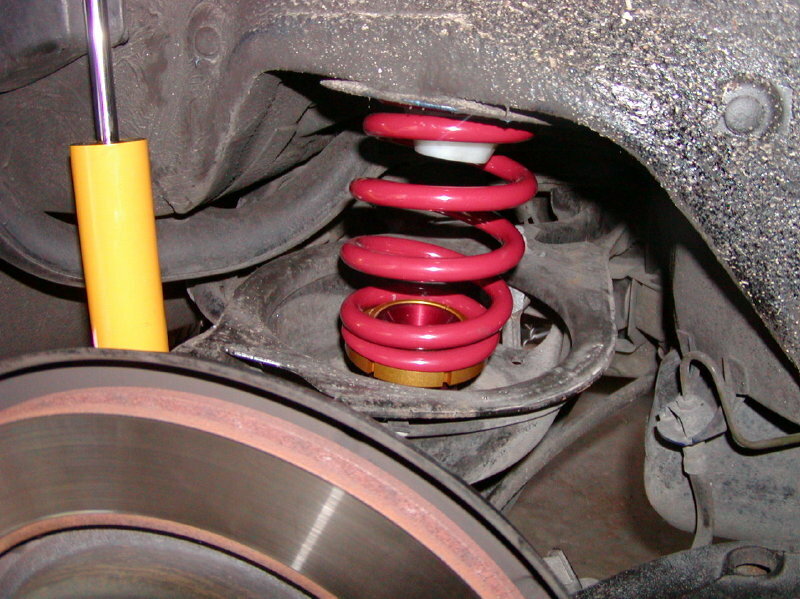 The shocks to the right also show the eibach springs, adjusting spring perches, and spring hat. 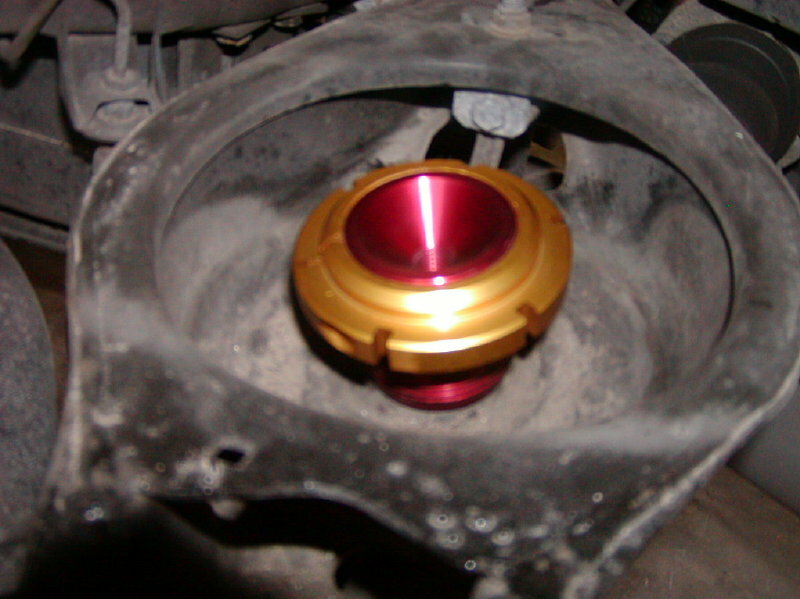 Rear shock mount. 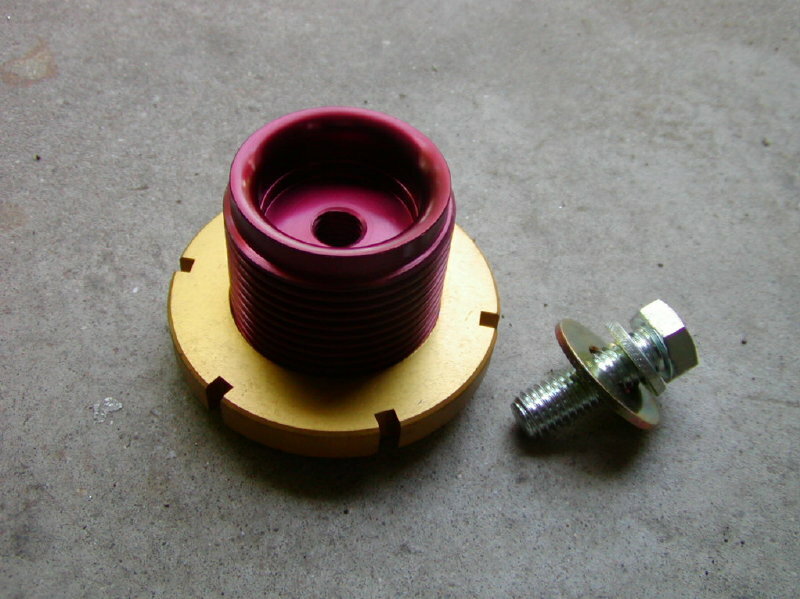 When I got the shock mount in the mail, the mounting bolts for the shock mount were installed backwards. 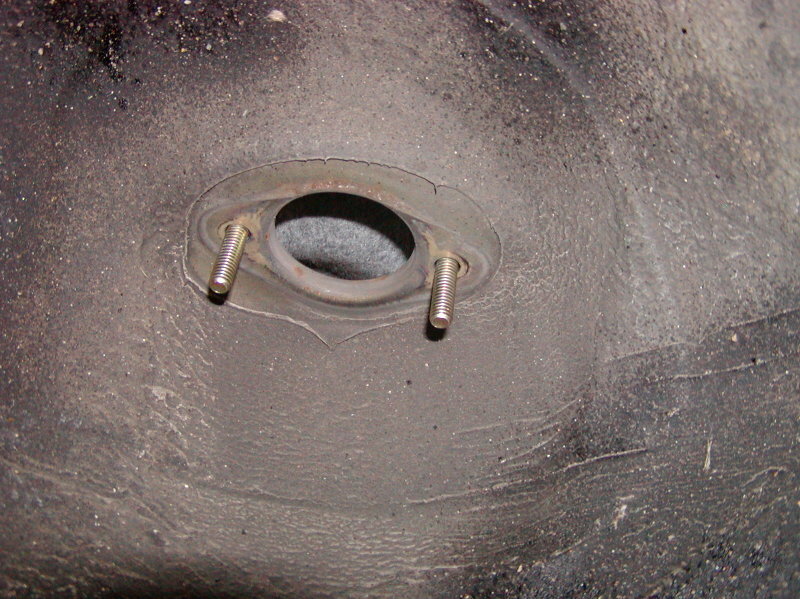 The gold ring with the 2 bolts mount in the trunk with the bolts facing downward. 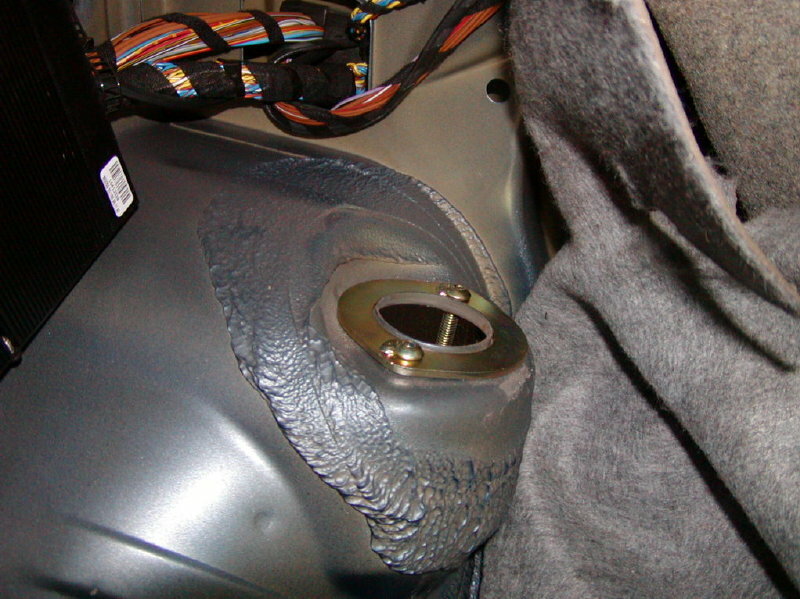 The grey metal plate installs from the bottom. I've been told that it doesn't matter which way the curved edge of the grey plate faces. You may want to verify that with GC... I haven't done that yet. 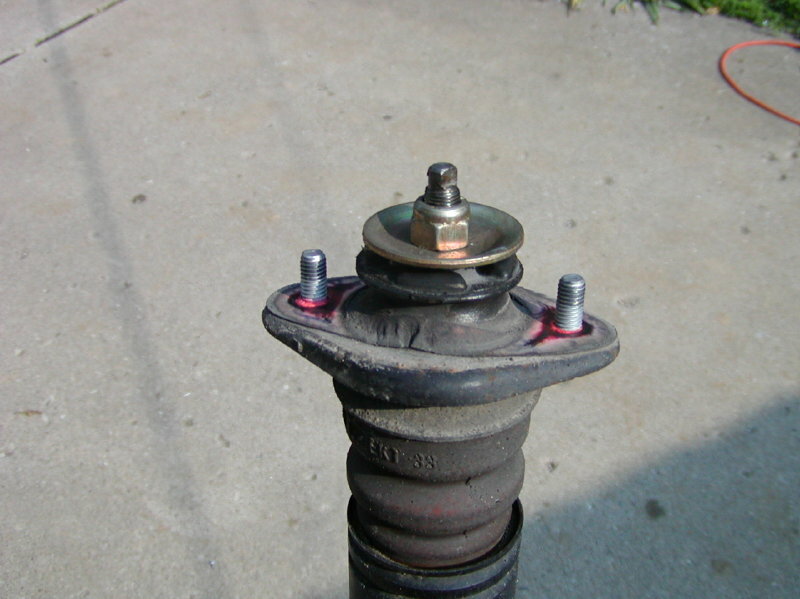 Rear spring perch and mounting bolt. The spring perch is sitting upside down here to show where the bolt goes. 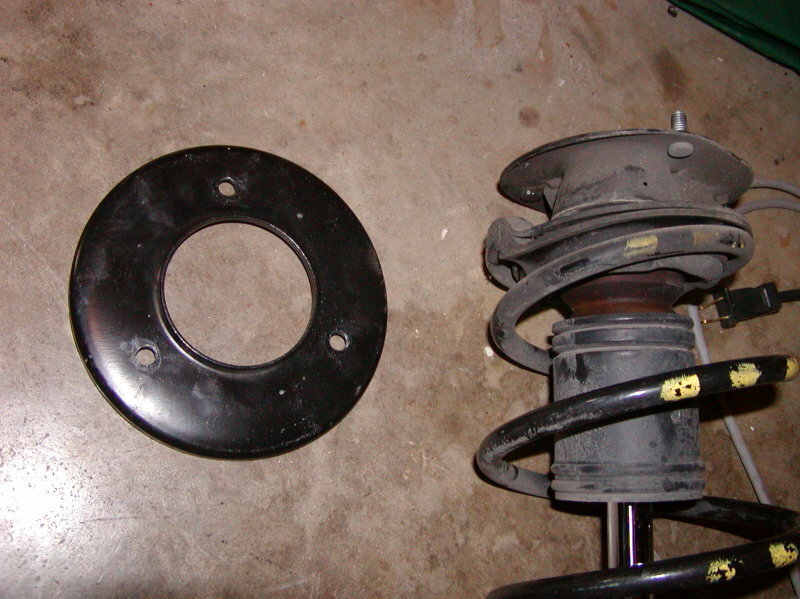 Rear spring with spring hat installed. 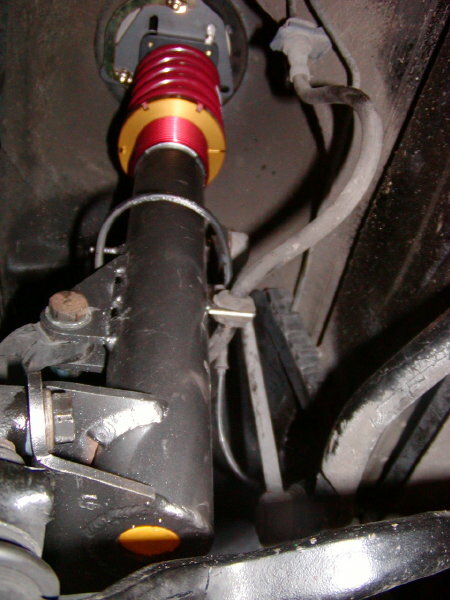 front strut showing stabilizer bar mount point. 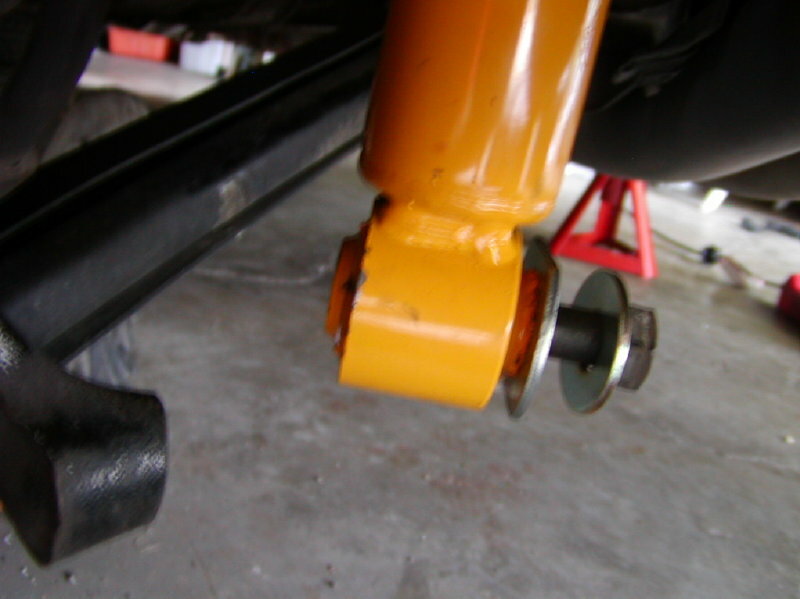 The stabilizer bar can be a pain to remove or install if you don't do it right... You have to jack the suspension up a bit to position the stabilizer bar just right. 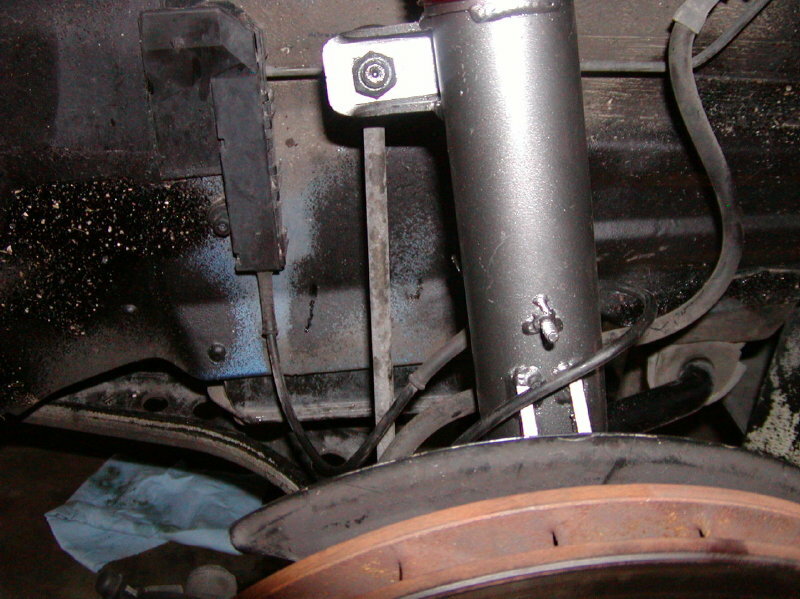 front strut and camber plate installed, show from below. Camber plate show from the top. Installed front shock. Rear shock and RSM installed. Stock spring, (with stock shock removed already) Spring perch installed. spring perch and spring installed. 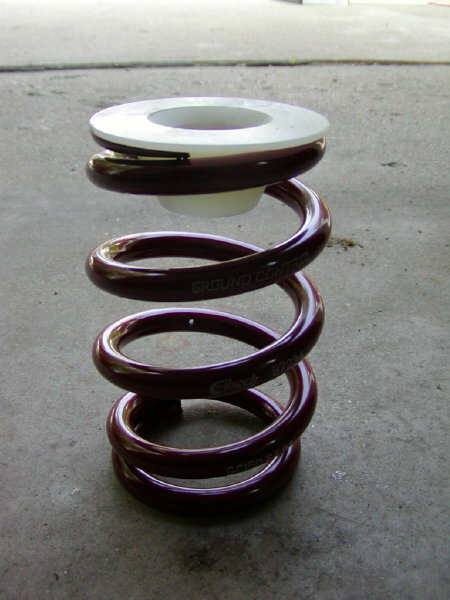 The spring is not sitting on the perch quite right yet since the suspension is still unloaded. 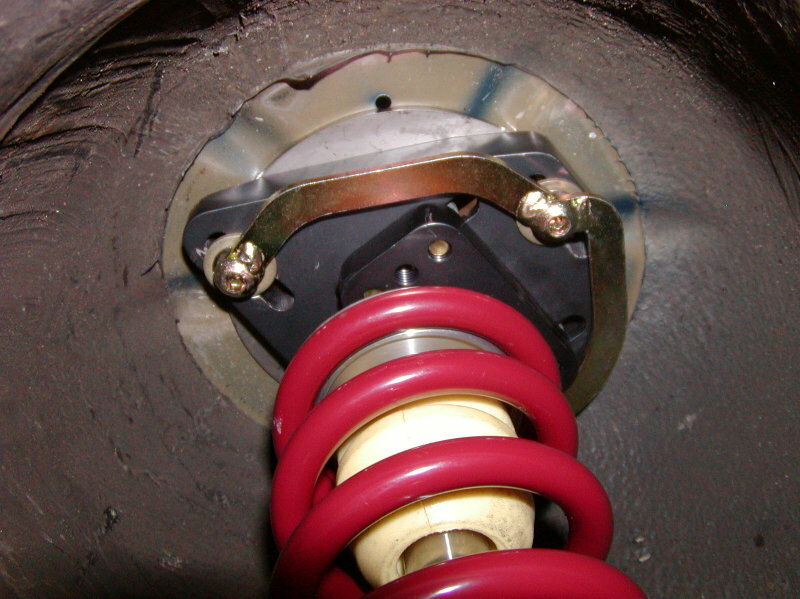 Rear shock showing the proper placement of the washers. Stock and spring installed.